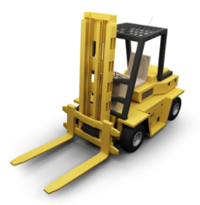 Reach trucks lift and organize supplies stored on tall shelving. An out rigging mechanism on the front provides counterbalance. Telescoping forks move up and down. Easily maneuvers in narrow aisles. 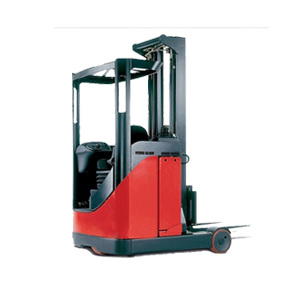 Powered by electric and have a max lift capacity of 1,500 – 5,500 lbs.